1) Sizes CRSB(C)-8-1 and CRSB(C)-10-1 cannot be relubricated - sizes CRSB(C)-12 through CRSB(C)-112 have relubrication holes at thread end "HD" only. 2) All sealed Cam Followers are prelubricated. 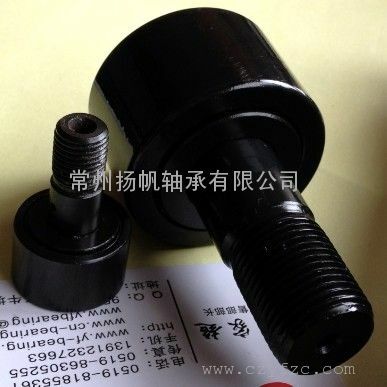 3) All sealed Cam Followers will have a black oxide finish on all exposed surfaces.